It is Interesting to note that the terms “mason and “bricklayer” are titles which are used interchangeably, often by the general public. Many people are not aware that there is a difference. The simple explanation is that there is a difference in skill set. Bricklayers are typically focused on construction using clay or concrete bricks, and blocks. Masons focus on construction involving stone, marble, granite and other similar natural materials. The trade actually can be traced back for thousands of years, with historical references dating back to ancient Egypt. Indeed worldwide, examples of various forms of stone masonry can be found in places such as China (consider the Great Wall of China), and all throughout Europe. Grand castles constructed using localized stone, can be found throughout England, Ireland, Scotland, France, and Germany. Such techniques as constructing stone fences with no mortar work, can be found throughout the British Isles where stone masons hand cut, and fitted stones in a tight knit fashion. Such walls stand with integrity to this day. Masons from the Greek and Roman empires are credited with intricate construction using materials such as limestone and marble. Locally, in the Toronto area; Casa Loma represents a fine example of stone work completed by Scottish masons before the turn of the twentieth century. This structure remains functional and beautiful to this day. The morale of the story is that masons can have various specialties based on their country of origin and the native materials that were, and are available to them. We can think of bricklaying as being a trade more characteristic of the past two hundred years in North America, where fired clay bricks were a common material used in the Eastern half of Canada and the U.S. While brick manufacturing ,and bricklaying has been used in Europe for centuries, in the history of the Toronto area; we have a fine example of a brick works in the basin of the Don Valley. Toronto is a city whose original housing in developing neighbourhoods was constructed using brick. Similarly in cities such as Chicago, New York, Montreal and Boston. Early Irish, Scottish and English immigrants built these cities using their craft carried from overseas, during the late 1800’s and early 1900’s. In today’s terms; apprenticeship for becoming a bricklayer takes three to four years involving three years of schooling, and several thousand hours of apprenticeship inter-twined. Qualified bricklayers can move on to become stone masons as much of the skill sets are interchangeable. There is currently a high demand for qualified masons in the construction industry throughout North America. Although a lucrative career, the work is hard and physically demanding. Having the ability to work at heights is also an imperative. A multitude of skills are required to become a successful mason or bricklayer. More than the average public may consider. In Europe, skilled tradespersons are highly regarded. In North America fewer young people are attracted to trades in general, let alone masonry; sometimes because the activities are not considered in the same social ranking as for example, a doctor or a lawyer, whom are termed professionals in our culture. A skilled mason for many, can be regarded as an artist; when one considers the beautiful results in architecture that can be observed around our city of Toronto. Our Legislature building is such an example to prove the point. • calculations involving math for measuring, estimating quantity, determining support, geometry, and levels. The list goes on. Special training for working with materials such as stone, marble, pavers, glass blocks, etc, represent further areas of study required to become a competent stone mason. For the artisan that intends to operate his or her own business; related education is also vital to running a successful business. 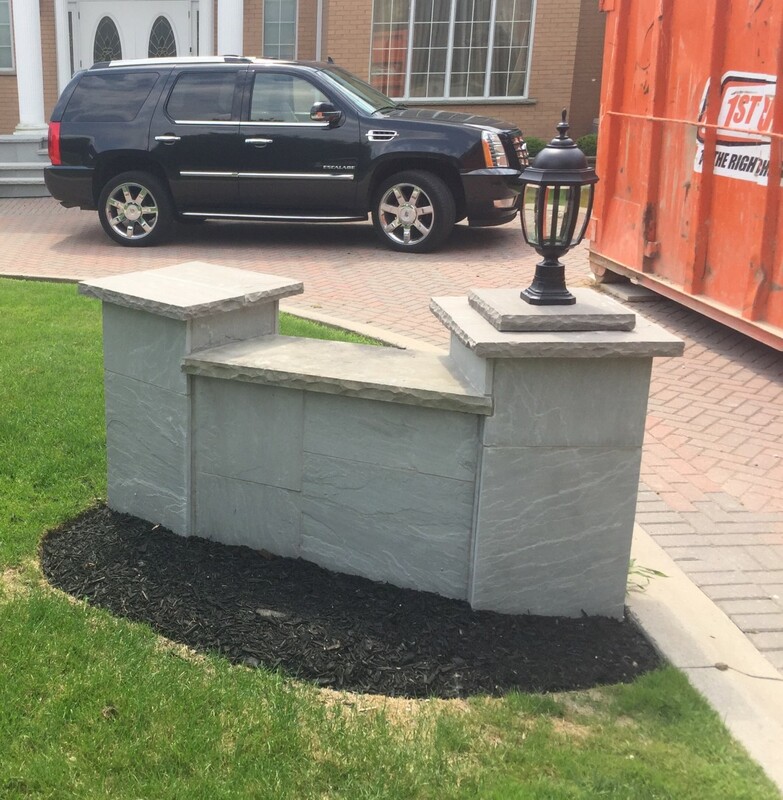 AVENUE ROAD MASONRY has performed work on scores of brick and stone projects throughout the GTA , and are blessed to have seasoned masons like Robert Grantham, and his son Robert ( second generation in the trade), delivering quality workmanship to their clients. previousWHAT MAKES AVENUE ROAD MASONRY AMONG THE MOST TRUSTED MASONRY CONTRACTORS IN TORONTO?